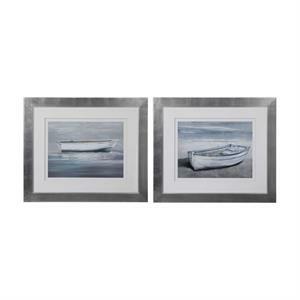 Coastal in design, these boat prints include shades of charcoal, white, blue, gray, and beige. Each print is surrounded by double v-groove white mats with a spacer to add a 3-dimensional effect. 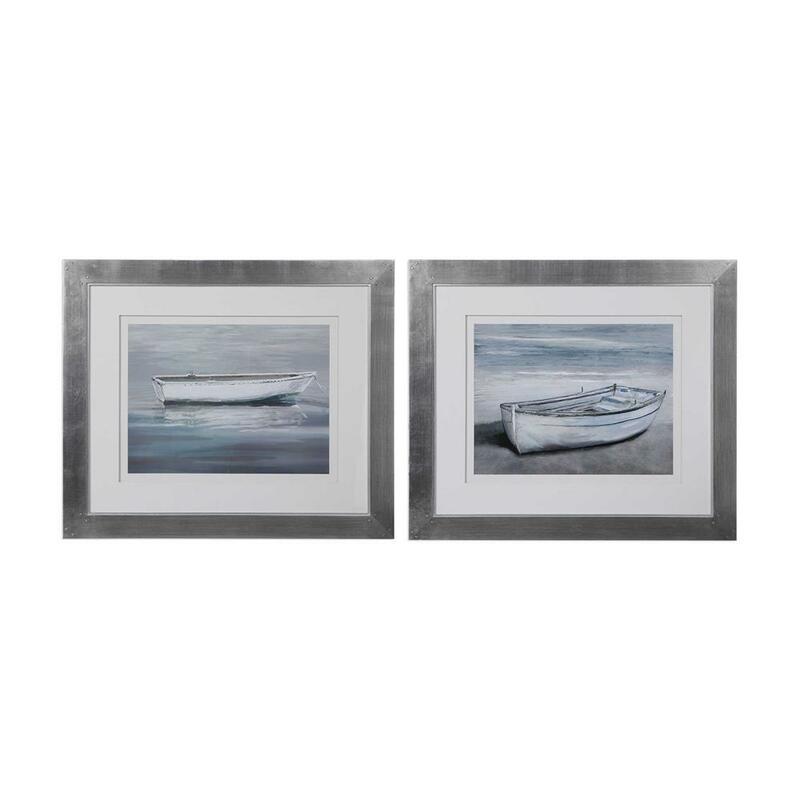 A distressed silver leaf frame with nail head accents in the corners and a silver inner lip complete the pieces. Each print is placed under protective glass.